Our company hold its own future, Made IT has always looked on new ways to implement into the market. We have always thought ahead of new services, new technology, new smart solutions, and of course new prices to provide. Posted: September 11, 2016 by marketing. Most companies hesitate to transfer their workloads between services and information in the cloud, so far although there have been many doubts about privacy and security. According to the latest 451 Research report, based on interviews with over 1,200 IT professionals in different parts of the world, the level of enterprise workloads is in fact set to rise from 41% today to 60% in mid-2018. The report also highlighted that 38% of the companies involved have a policy of type cloud-first; this means that the priorities of where to place all of their assets are just the cloud. Among other, acquisitions, mergers, updates, divestitures, new hardware and software are pushing more and more companies towards cloud adoption. The cloud is suitable for any workload in all situations. Naturally, it facilitates and improves things. And if it is true that there is an inevitable transaction to be made in the transition from traditional infrastructure to a cloud, it is also true that more often than not it is a traumatic transaction. That’s why more and more companies will perform this migration to the cloud, whether on-premise, managed by a service provider or in a data center. Part of the reason behind this growth of cloud adoption is that executives are going beyond the initial concerns about security and privacy. With more and more experience gained in this field, even the doubters against the cloud are overcoming initial fears and gaining more and more confidence in the cloud. If it is quite simple to move the new cloud services, applications, and data, transfer existing services and information is another matter. The report noted that it takes time to change the way you do things, abandon a practice that already exists, and arrive at a new working structure. Also because, when things work, there is little incentive to change, even with the promise of a secure improvement after this change. Finally, according to 451 Research, the strongest growth of the cloud will occur especially in critical enterprise categories, such as data analytics, and business applications. MadeIT hybrid and private cloud is built in a way that meets your company’s specific needs and is comprised of security, bandwidth, storage, and power. We engineer all of these together into a custom solution that fits your exact requirements. MadeIT cloud architecture helps the client build a solid, redundant and robust solution by either using the client’s suggested engineering or by working together with the team to develop a customized solution to suit their needs. MadeIT public cloud offers the benefit of operating in a virtual environment with limitless scalability. If your server outgrows its capabilities, the team can add memory, processing power, and storage almost instantly. MadeIT cloud is fast, accessible, and reliable. We provide 24/7 support using live chat, telephone, and ticketing systems. Posted: August 15, 2016 by marketing. According to a study by Cicero Group and Veritas Technologies, the private cloud, and public cloud alliance continues to grow in business. Three-quarters of companies worldwide continue their adoption of hybrid cloud, by definition involving the private cloud and public cloud. This is the salient point of a recent study sponsored by Cicero Group Technologies and Veritas. The results show the importance of a sophisticated corporate strategy for information management and security. For the study, Veritas and Cicero Group interviewed more than 1,800 worldwide IT executives with more than 500 employees and managed by at least 75 terabytes of data. This study was especially noted the pace of switches to different kinds of cloud and motivations. This flip-flop now applies to all types of data, including critical data, which implies to adopt a real strategy and real security. Nearly 38% of the volume of data is currently housed in a private cloud (+7% in one year) against 28% in a public cloud (+ 18%). In Japan and Brazil, it is 50% of the volume that is currently in the public cloud. 74% of companies use multiple cloud providers, and 23% use at least four suppliers. It increases the pressure on IT departments to secure the data on all of these environments. In the breakdown by sectors, the manufacturing industry is in the first place. The manufacturing industry takes 30 percent of their workloads in the public cloud. Second place goes to telecommunications companies with 24 percent, followed by health care and finance, each with 23 percent. 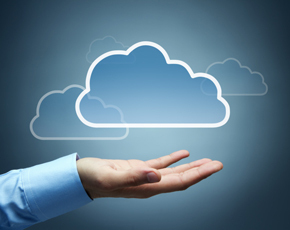 The public sector constitutes 16 percent cloud adoption. More than a third of respondents cite cost as the main argument for the public cloud use. However, security remains the main obstacle. Half of respondents named security and backup architectures as the main reason to avoid the public cloud. Nearly 41 percent expect an improvement by introducing a hybrid cloud – which is internationally the highest percentage. Security is also the most important factor for the satisfaction of enterprises with public cloud offerings. Providers of public cloud solutions should communicate their benefits in terms of safety. A significant number of respondents indicated that they would always run certain workloads within the enterprise and do not move to the cloud. 28 percent cited in this context named backup and recovery, 27 percent disaster recovery and 26 percent archiving or data warehousing. About 81 percent of companies not using cloud in the implementation and ongoing support to the services of service providers. The heterogeneous and complex composition of cloud solutions is therefore likely to remain a challenge for IT departments. Companies are increasingly using heterogeneous solutions. From the perspective of information management, this can increase the complexity. Organizations must be more vigilant than ever to see blind spots of IT and potential safety issues. Only way they can avoid unplanned downtime or even an information crisis. The study recommends several steps – the organizations should help to remain agile to minimize the risks inherent in the implementation of hybrid cloud environments. IT professionals should focus more on information management rather than on infrastructure. Posted: July 22, 2016 by marketing. The IT security professionals should better address the known risks, monitor the value of computer IT devices in the shade and solve the inherent weaknesses introduced by the Internet of things, according to Gartner. The consulting firm has reviewed the five key areas of security problem facing businesses this year, and issues forecasts and recommendations on how to protect networks and data threats that are likely to arise for each. The areas are threats and vulnerability management, data security and applications, mobile security and network identity and access management, and security of the Internet of Things (IoT). 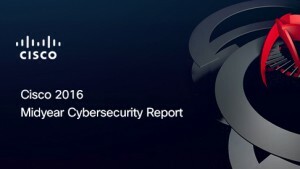 Gartner’s findings were announced at its recent Summit Security and Risk Management by analyst Earl Perkins. A key recommendation is that companies should be aware that the delay of the security measures to avoid business interruption, can be a bad measure. Gartner recommends that security professionals should make decisions on the protection of networks and based on the series of risks posed known deficiencies of the company and its objectives resources. Instead of thinking about its purely protective role, they should see it as a facilitator of the favorable results of the company. Prediction: By 2020, 99% of exploited vulnerabilities continue to be known by security professionals and IT for at least one year. With attackers in search of vulnerabilities in applications and exploitable configurations, it is important that companies prevent vulnerabilities in a timely fashion. If they do not, they may lose money through damage to systems and data theft. Prediction: In 2020, one-third of attacks experienced by companies will be successful in their IT resources in the shade. One area of growing concern is the introduction of new technologies by business units, without control by the security team. The fact that avoid the review, and that many of these technologies are new and still contain vulnerabilities, making them susceptible to attacks. Prediction: In 2018, the need to prevent data breaches from public clouds will boost 20% of organizations to develop government data security programs. The government data security will be promoted by insurance companies that will set the cybernetic premiums based on whether companies have these programs in place. Prediction: In 2020, 40% of companies dedicated to DevOps ensure applications developed by adopting self-diagnostic application security and self-protection technologies. The mature technology called self-protection application at runtime would be a solution as a way of avoiding vulnerabilities in applications that might result from problems overlooked because of the rapid pace of DevOps teamwork. Self-protection application does its job quickly and accurately in order to provide protection against vulnerabilities that could be exploited. Prediction: In 2020, 80% of the new jobs for security officers access to the cloud (CASB) will be packaged with secure web gateway link (SWG), network firewall, and web application firewall platform (WAF). Traditional providers network security products such as firewalls, SWGs and WAFs want to be in the protection of SaaS applications, which is carried out efficiently through CASBs. Companies should assess whether the CASB services are guaranteed by their plans for the deployment of applications, and should consider offers from their current providers of these traditional technologies. Prediction: In 2019, 40% of identity as service implementations will replace implementations of AMI in facilities. This increase in the use of IDaaS be derived in part because of the difficulty and cost of operation of the IAM infrastructure facilities, and the increasing use of other offers of something-as-service will make the decision more comfortable. The continued introduction of more and more mobile Web applications will create a natural opportunity to transition from IAM in the premises of the company IDaaS. Prediction: In 2019, the use of passwords and sample use cases medium risk will be reduced by 55% due to the introduction of recognition technologies. With the cost and accuracy of biometric data, they will become a good option for authentication continuously. In combination with the analysis of use and behavior of the entity, this technology can make a difference when cases requiring an average level of confidence applies. Prediction: By 2018, more than 50% of manufacturers of IoT devices will not be able to cope with the threats of methods of weak authentication. The IoT devices are still being manufactured without taking much consideration of security; however, some are on networks so that, if exploited, could expose them to a data damage in case of default. Companies need a framework to determine the risks posed by each type of IoT devices and adequate controls to deal with them. Prediction: In 2020, more than 25% of the identified business attacks involve the IoT, although, in reality, it is liable for 10% of the budgets of IT security. As security professionals will not be able to determine the importance of IoT devices for the organization, the business unit that uses them must decide what risk they represent. Security professionals must reserve 5% and 10% of security spending for surveillance and protection of these devices. Posted: July 10, 2016 by marketing. Submit faster new products and services, move closer to customers, increase the productivity of users. Never pressure of innovation on your business has been stronger. However, your existing IT infrastructure is gearing up to the goals of your company? At the time of cloud and mobility, your computer model must be able to accommodate more users, more applications, and more data. According to IDC, the implementation of the third platform dedicated to the growth and innovation after the mainframe and client-server model requires an investment in Cloud Computing, social, mobile technologies and the Big Data. It also involves making fundamental changes to IT operations to provide access to self-service information and applications regardless of location, time and terminal. Give the IT department the power to give more resources to users. IaaS offers more ways for your customers, your employees, and your IT department. While customizing the provision of IT services, the IaaS reduces costs of technology, training, and processes, and increases flexibility, responsiveness, and control of the IT environment. With the IaaS, your IT team no longer content to react to an endless list of demands but begin to implement a proactive partnership with the company. Pioneer of virtualization, cloud computing base, MadeIT enables companies to innovate and prosper while saving a significant amount of dollars. Because virtualization and automation software from MadeIT cover the entire data center and virtual workspace, we are able to simplify the IT environment radically to help you achieve your goals business. MadeIT Infrastructure is the basis for some of private, public and hybrid cloud environments. More customers rely on MadeIT to help them reduce costs, increase flexibility while maintaining control of their IT environments, and thus significantly improve the results of their business. When your company chooses MadeIT and its extensive network of partners, the transition that you start is to evolve a traditional IT infrastructure progressively to achieve a virtualized cloud environment more flexible and efficient. Throughout this transformation, you enhance the value of more strategic IT investments. Companies usually start their transition by virtualizing the infrastructure to consolidate investments and reduce costs. Subsequently, many opt for virtualization of critical applications and finally go to automation and higher levels of management to extend virtualization to the rest of the infrastructure, namely the storage, network, and security. These activities reduce operating costs and enhance service quality. But it is only when virtualization has really become ubiquitous that your business can finally exploit IaaS at fair value. Companies that implement the IaaS considerable benefit of this operating mode, fundamentally different from their counterparts. Posted: June 30, 2016 by marketing. MadeIT’s Cloud Computing Services provide compute, storage, application and network services on-demand, which are directly integrated into your IT infrastructure. The MadeIT Data Centre is the forefront cloud-based computing solution that meets their simple, comfortable handling of a public cloud while providing the security and reliability that can vouch for the private cloud. The ability to have fully automated public and protected cloud applications on the same platform, this cloud solution makes them particularly versatile. In addition, the data center embedded in our network are offered, as it is provided throughout via MPLS fiber network. To meet customer requirements, companies must take advantage of many different services to outsource their data and applications. 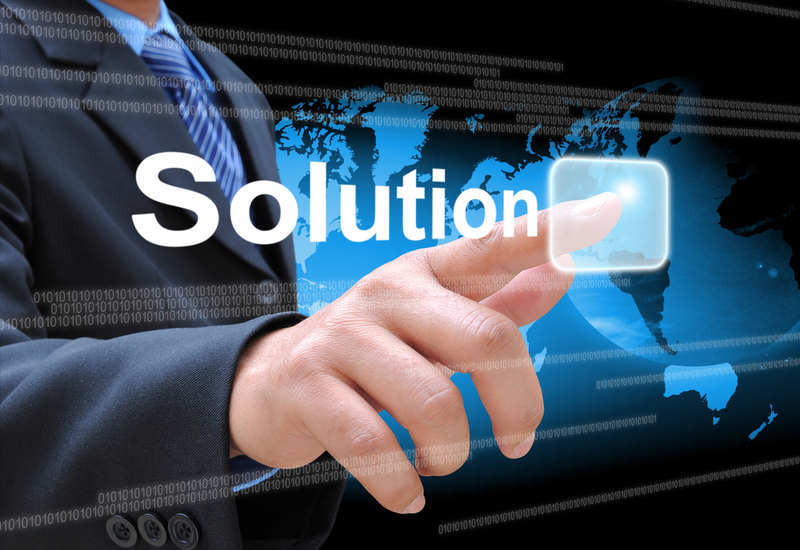 MadeIT cloud computing solutions offer a solution for all cases. Thus you get the best of both worlds and can the requirements in accordance with the services of a private or public cloud and dedicated hosting put together. Agility: Which of your applications require a flexible and agile infrastructure and which do not? Security: In which areas of work you can outsource data in the public cloud, in which not? Performance: Does your application requires a separate environment or extends a part around in a public cloud? What do you need for dedicated resources? Costs: Is it cheaper or more expensive to outsource data and processes in a cloud environment? Licensing: Is it from the licensing and data protection regulations at all possible, to relocate certain data or processes in the cloud? Thanks to MadeIT, the deployment, and management of ICT infrastructures is now easy and flexible. Select the desired infrastructure and the location and decide then what level of support and management of your choice. Compute: Our Data Centre is integrated into the MadeIT network that provides a scalable, on-demand cloud solution that can be configured as a private, public or hybrid cloud. Storage: The solution offers various storage options. This is a variety of performance and security levels are available to meet your company’s needs perfectly. Networking: Our platform is integrated into our network, which offers a unique level of performance and safety. Security: In addition to the directly integrated network, security options include a number of security features available to help you better protect your platform. The establishment and management of the entire ICT infrastructure as a service that is delivered over a secure network platform and offers integration cost optimization, performance, and efficiency. We simplify the deployment and management of the ICT infrastructure and shape it more flexibly. Therefore, our customers can switch the service used depending on the business needs as necessary efficiently and economically. Posted: June 13, 2016 by marketing. The selection of cloud services has grown over the past years in overwhelmingly large dimensions. But, as always when introducing new systems arises in connection with cloud services, the question of how the initial situation is where you want to go and how this is best achieved. These considerations make first completely detached to particular services and offerings. The aim is usually to optimize existing structures and processes. A change in the cloud would result in the otherwise little sense. At the end, you should be able to answer the question: What are the benefits cloud services over the present situation? Orientate yourself not to platitudes like ‘easy maintenance’, ‘cheap to run’, ‘global access’ or ‘scalability’, which is full of stories related to the cloud. It’s very individual to you and your company: What have you concretely from the cloud? Among the most important criteria is one of privacy. At least some of your company departments deal with confidential customer data. Then there is the question whether and how these are banned in the cloud. Very important: Where are the servers of the provider? What privacy laws apply there? And who owns the data you provide on other servers? When choosing a provider, check the Service Level Agreement (SLA). There you will find detailed information on the contractual and service relationship between you and the cloud provider. In addition to these aspects, it also encompasses the scalability and availability. Besides data, the latter is probably one of the most important criteria for choosing a provider. Because you set for your workday on an application that is only accessible via the Internet, the service provider must ensure that this is always possible reach. You may ask the providers as ask how the availability is guaranteed. Reputable providers have nothing to hide and answer this question usually tagged with redundancy. How important is the support of the party, also depends on the expertise from in-house? Are the technicians of the provider providing around the clock by phone, e-mail or chat support? Is there an emergency service in the evenings and weekends? And what does this service cost? The cost is also crucial in deciding for or against a proposal. Pricing should you of course still be clear and fit for your business. Moving to the cloud is not a rush job, because when a wrong decision is made, it is often challenging and expensive for you to roll back. You often not immediately noticed that you have chosen the wrong provider or the wrong product. MadeIT provides maximized efficiently and minimized costs. MadeIT meets your company’s specific needs and is comprised of security, bandwidth, storage, and power. The Systems Architecture staff at MadeIT helps our client build a solid, redundant and robust solution by either using the client’s suggested engineering or by working together with our team to develop a customized cloud solution to suit their needs. Posted: May 26, 2016 by marketing. A current study “The BT CIO report 2016 – the digital CIO” on behalf of the network and IT service provider BT clearly shows that while the CIOs around the world are driving the digital transformation, the processes, and systems of their companies and organizations are hindering the transformation. Their importance at the management level continues to rise under the influence of digitization. More than seventy percent of the surveyed about a thousand IT decision-makers from eleven countries said that the role of the CIO in corporate governance in the past two years has become more important. And almost 43 percent of respondents stated that they spend more time today on issues that affect the company as a whole. The flip side of this trend is that it becomes increasingly difficult for the IT chiefs at all to find time to develop creative solutions for daily business. Nearly two-thirds of IT decision-makers feel that the CIO spend more time on the existing IT systems to keep running than trying to find new solutions. CIOs have, therefore, irrespective of their ambitions in terms of digital transformation, a lot to do still with contaminated sites. Nearly 80 percent of large companies and organizations pursue global or a “multi-speed” approach: technology-driven initiatives are driven at different speeds and priorities – with the CIO as a driving force. This requires more creativity, flexibility, and a more dynamic business model. The BT study found that two-thirds of CIOs also found that rapidly alter the key performance indicators (KPIs) with which their own performance is measured. The digital transformation moves precisely in the heart of all its activities. In most companies, which were covered by the new BT study, different departments are busy to procure and use without involving the IT department IT products and services. Apparently, IT departments are increasingly pleased with a cross-divisional, business support role. In this role, IT is focused on particular data security, providing an efficient infrastructure and that there is no duplication of work within the company. These altered responsibilities subject to the new role of digital CIO, the acts of all corporate divisions as enablers. Here the IT chiefs agree on the main technology trends: cloud, mobility and collaboration and data (big data). According to the report, already one-fifth of the world’s companies are moving to fully cloud-centered infrastructure. Almost half of the companies are already receiving more than half of their applications and their infrastructure from the cloud. The CIO is one of the most demanding positions in business today. The digital CIOs are the pioneers of change. To be successful, they need now strategic partnerships within and outside of their company. MadeIT is well positioned to be their digital enabler. MadeIT managed, and cloud services help your customer relationship will benefit from real-time big data analysis; further expansion of cloud connectivity; new possibilities to comply cloud services to the needs of individual organizations and sectors; and new security and professional services capabilities that will support all of these investments and CIOs thus enabling to take bold decisions that are required in their digital journey. In response to the outstanding acceleration of the digital transformation, MadeIT has the right products and services in cloud, mobility, collaboration and data to accelerate the implementation of cloud strategy. Posted: May 12, 2016 by marketing. First, we would like to clarify what is business continuity. It is a plan by which a company or organization plans how to respond to any eventuality so that the interruption of their business is minimal. In that plan the processes that you need to put in place to ensure the least impact to a disaster. On the other hand, we have the management of information, considered as one of the most valuable assets of an organization. It notes that the importance of this management is always closely linked to the availability of the same. And when we talk about availability, we mean access to this information at any time, and to guarantee the integrity of it. For this reason, many aspects come into play as such as where such information is hosted, if there is a replica of it, or if the confidentiality and data integration is assured. The fact that organizations pay increasing attention to these situations makes coexist different technology scenarios from the point of view of IT. Customized solutions mostly implemented at the customer with solutions that are mixed cloud model – pay per use with the benefits and guarantees of services. The proportion of resources allocated to traditional IT (good own infrastructure mode or outsourcing) will decline in the coming years. This is because companies need an agility that the traditional model cannot provide, and should look at certain external service providers. Cloud-based models, whether public or private, are preferred by businesses, due to the need for greater agility. Therefore, they will absorb the growth in the budget-tech enterprises. The private cloud model is the one that will attract larger budget in the coming years. And in this scenario, MadeIT stands out as a technology partner capable of providing end to end solutions. For this, MadeIT relies on its infrastructure of data centers, on which deploys its cloud services, which can be integrated with data centers customers. Thus, different cloud models can coexist, and business continuity solutions guaranteed to unforeseen incidents. Security, both physical and logical, is a transversal value to MadeIT that helps to ensure such continuity. Posted: May 1, 2016 by marketing. A 20-minute interruption systems an organization can lead to losses of more than $15,000. Cloud becomes the most effective platform for the restoration of failures and data protection in case of disaster recovery. Information technologies form the core for the development of new businesses in all economies in the world. The digital transformation is the challenge that CIOs and executive leaders of all organizations put on the table. While data security is increasingly threatened, what is the platform that is imposed for disaster recovery? Again everything is in the managed services cloud, but how to face these kinds of challenges for business continuity? Here are some keys. To the extent that technology takes center stage in business, risk and costs of data loss is greater. According to the IBM Global study on the Economic Impact of IT Risk, an interruption of 20 minutes can cost the organization over one million dollars. A major disruption, which lasts on average seven hours, may involve costs above $105,000 for a company that billed on average 2 million a year. The policies and integrated technologies to reduce downtime in enterprise systems constitute an active fault resistance and risks of data integrity. It’s no wonder that organizations are willing to invest resources to ensure that systems, data, and applications are almost always available; to protect them from risks ranging from human error to the weather. These efforts into a strategy for disaster recovery and business continuity involves the recovery of infrastructure and downtime in systems. Concepts that are recognized as recovery point objectives (RPO) and recovery time objectives (RTO). Thus achieving business level ensure business continuity for its external and internal customers also face competition. Cloud is positioned as the most effective paradigm for the deployment of policies and solutions for disaster recovery and improved business resilience under different schemes. Currently, companies can adopt plans for disaster recovery cloud models services ranging from the “pay as you go” to hiring a more complete and aligned recovery needs of each business where availability of critical data is guaranteed. These models can help organizations control costs resilience while more easily scalable solutions flexibility to accommodate growth or times of peak activity. The contingency statement from the cloud can help organizations comply with government regulations and industry: as accountability laws, standards Consumer Protection, and data protection in the Payment Card Industry, among other industries and government regulations. Gartner predicts that in 2018 the number of organizations that use an outsourced disaster recovery service, exceed the number of organizations that you use a disaster recovery in-house. This means that organizations need a service provider who has the vision and the ability to orchestrate suitable resilience solution from the combination of technologies and emerging services. The digital universe is expanding, and ensure business continuity becomes more complex every time. According to Forrester, one of every three companies said they had suffered some kind of failure or disaster affected the continuity of their business. The problem is complicated, but the solution does not have to be. MadeIT offers a wide range of quality hosting products, all designed to give you the very best possible conditions to host your site or to run your business. From small shared accounts, through reseller accounts, virtual private servers and up to fully managed dedicated servers. We will help you get everything set up the way you want it and monitor it to make sure it stays that way. We also have 24/7 technical support and disaster recovery on hand to get you through those difficult situations that sometimes arise. You can count on us to keep you running.